Rapid City SCHEELS first opened its doors in 1994 in the Rushmore Mall. Store expansions in 2009 and 2014 brought the location to 118,000 square feet. The store now offers a retail shopping experience that showcases Western South Dakotas largest selection of sports, sportswear, and footwear under one roof. 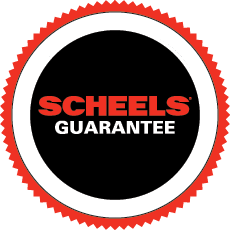 Unlike a typical sporting goods store or department store, Rapid City SCHEELS is a collection of women’s, men’s, youth, specialty, and sport and game shops. Brand-name concept shops by Nike, Under Armour, and The North Face will keep you active in any season. Each shop is staffed with experts who are passionate about their sports. Rapid City SCHEELS features specialty shops ranging from technical running gear and the latest fashion sportswear to spectacular hunting and fishing shops. The athletic shoe, hiking boot, and casual footwear selection offers everything for toddlers to serious hikers, with selections ranging from beach sandals to fashion boots for women. Outdoor enthusiasts can experience world-class shops including golf, bike, camping, and ski shops. Enjoy your favorite beverage and grab a sweet treat from our fudge shop! The store offers a strong emphasis on womens fashion apparel, shoes, and accessories; with brands like Silver, Rock Revival, Miss Me and Big Star jeans, as well as Keen, Sperry, Aventura, Soybu, and more. Test you swing in our golf simulator! Have some fun while you’re shopping with miniature bowling.